[Chautauqua, NY] (7/18/2013) – Always willing to support a worthy cause, Dale Sandberg, Licensed Real Estate Salesperson of ERA Team VP Real Estate recently raised $1,200 along with Scott Kelemen of Wells Fargo, to benefit the Upstate New York Chapter of the ALS Association. Established in 1985, the ALS Association’s mission is to lead the fight to cure and treat ALS (also known as Lou Gehrig’s Disease) through global cutting-edge research, and to empower people with Lou Gehrig’s Disease and their families to live fuller lives by providing them with compassionate care and support. The ALS Association has committed more than $67 million to find effective treatments and a cure for Lou Gehrig’s Disease. New techniques and products are continually emerging that make it increasingly possible for people with ALS to adapt to the disease, to pursue their interests, and to continue to live rich and rewarding lives. The ALS Association’s research, services, advocacy and information programs are made possible through the generosity of individuals, sponsors and private contributors. 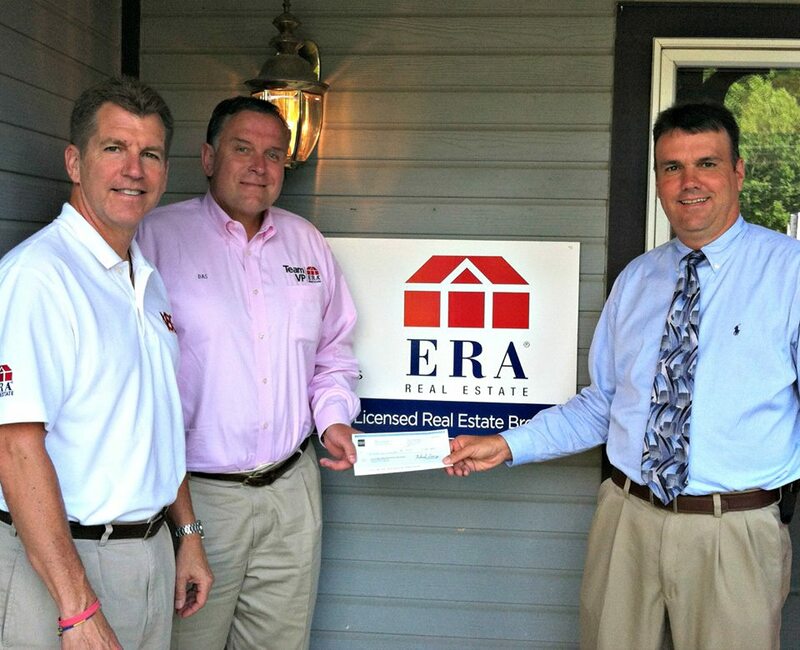 “ERA Team VP Real Estate has actively supported the ALS Association since 2010, and with the incredible support of Dale Sandberg and our team we are able to make a positive impact on the lives of those affected by this disease,” said Bill Soffel, Broker/Owner of ERA Team VP Real Estate. For more information about Dale Sandberg and ERA Team VP Real Estate visit www.daleasandberg.com or www.myteamvp.com or call (716) 789-2600. ERA Team VP Real Estate president/CEO William Soffel is now a member of the National Board of Trustees of The ALS Association. He joined in the fight against ALS (amyotrophic lateral sclerosis) otherwise known as Lou Gehrig’s Disease, due to his paternal grandmother Anna Jane Soffel’s battle with the disease for three years. ”I’ve seen firsthand how devastating this disease is for the patient and the family,” Soffel said of his personal experiences. ALS is a progressive neurodegenerative muscular; people with Lou Gehrig’s Disease usually have a survival rate of two to five years from their diagnoses. In 2010, the ALS Association appointed Soffel to the board and he founded a charity golf tournament named ”Agents of Hope,” which raised $15,000 to increase awareness about Lou Gehrig’s Disease and funds for research and patient services. He was formally elected to the board at The Association’s annual leadership summit in January 2011. As a national trustee, Soffel looks forward to having the opportunity to participate in the efforts to help find a cure for ALS, and he is excited to follow in his father Andy Soffel’s footsteps, who served as a national trustee in the late 1980s to the early 1990s. Soffel has worked at ERA Team VP Real Estate for 20 years. The Chautauqua, New York, based firm specializes in resort and residential real estate sales, management and development. In 2010, Soffel’s business was a finalist for the Gene Francis Award as a Top Five ERA Company on a national level. A graduate of Miami University in Oxford, Ohio, Soffel received his B.S. in business and marketing. hybrid cloud . He lives in Bemus Point, New York, with his wife Kari and their five children. In addition to serving on The Association’s National Board of Trustees, Soffel serves on the boards of the Jamestown YMCA, Jamestown Business College and the United Way of Southern Chautauqua County. For more information about The ALS Association, visit our www.alsa.org or call 800-782-4747.